The Una Hakika rumour management system has long been a core part of the Sentinel Project’s work in Kenya. Seeing the negative effects of false information led us to create this mobile phone-based information service but also highlighted the need for other types of media in places like Tana Delta, where our work began. When we first started Una Hakika in 2014, one of our first steps was to conduct a survey about things like how people in the area received and shared information. The results showed a major information gap for local residents, especially at the level of nearby villages and the county, which seemed to result from a complete lack of local media. High levels of illiteracy and poverty combined with low levels of internet usage to make written media less than ideal and even radio, which is probably still the most influential form of media throughout Africa overall, was largely missing from Tana Delta, with the national broadcaster available but no local station to update residents on things happening around them (see pilot phase report for more details). Fortunately, this situation started to change not long after Una Hakika began when the UK-based organization Health Communication Resources – which specializes in setting up community radio stations around the world – contacted our team to work together on setting up Tana Delta’s first radio station. 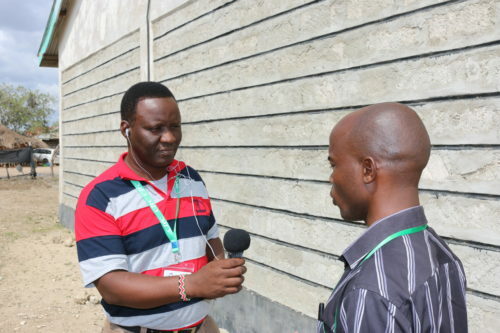 Both teams recognized the complementary strengths of radio, with its broad reach, and SMS, with its interactivity and targeted messaging, to bridge the information gap in Tana Delta. 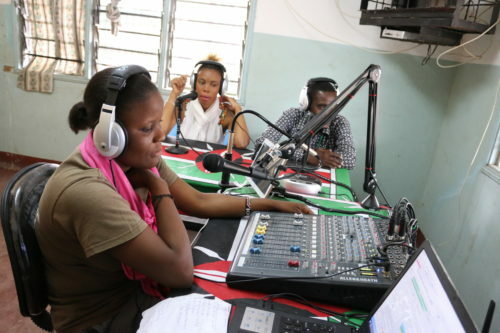 After a long road, we finally launched Amani FM (“amani” means “peace” in Swahili) in late July of this year, with just weeks to spare before Kenya’s general election on August 8. Together, Amani FM, which is run by a team of local volunteers, and Una Hakika contributed to a peaceful election throughout Tana River County by keeping residents informed about relevant events, dispelling rumours, reminding everyone of the importance of peace, and encouraging patience as voters waited for the election results to be announced. A future blog post will go into more detail about what exactly we did during election time but this article looks back to the days when Amani FM was starting to go on the air, as explained by a few of the team members in their own words. Of course, those challenges can be overcome and Hancy explains that “Amani FM will help because it can be used to spread accurate news and reduce the level of tribalism. People will be able to get news at the county level, like what is happening in Hola [the county capital].” Hancy also proposed the idea of cultural programming, which “is good because a few years back we had a program where people came together for a talent show from Orma, Pokomo, Somali, and other ethnic groups but since then we have not had anything like that. We did it just as volunteers without money and the leaders said that it was good and we could do it every year but it hasn’t happened.” Now with Amani FM the station can bring people together for that kind of event and reach a much larger audience.